If anyone knows me (Sarah C) they will know that I love magazines. I’m not referring to Take A Break or Hello magazine (no offence to those writers and readers!). In this blog I’m not even referring to Vogue although I read every issue cover to cover on a lazy sunday:) Here I’m talking about those beautifully crafted ones you can only find in certain shops (like my favourite newsagents Wardour News on Wardour street Soho) or websites (like Stack) that have a limited run and have their own personality- ones that you just want to keep, stroke and read again in years to come. One’s that you want to force on all your friends to read so they become fans too. One’s where you can lose yourself in them and come away inspired and provoked to make the world the beautiful just place it can be. Oh Comely is one of those magazines. 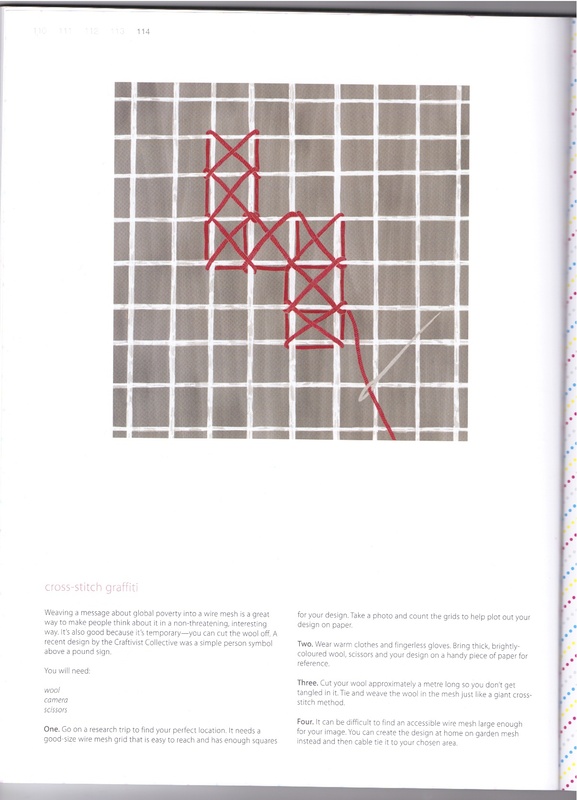 It’s strapline is ‘Keeping Your Curiousity Sacred’ and I came across it at issue 5. 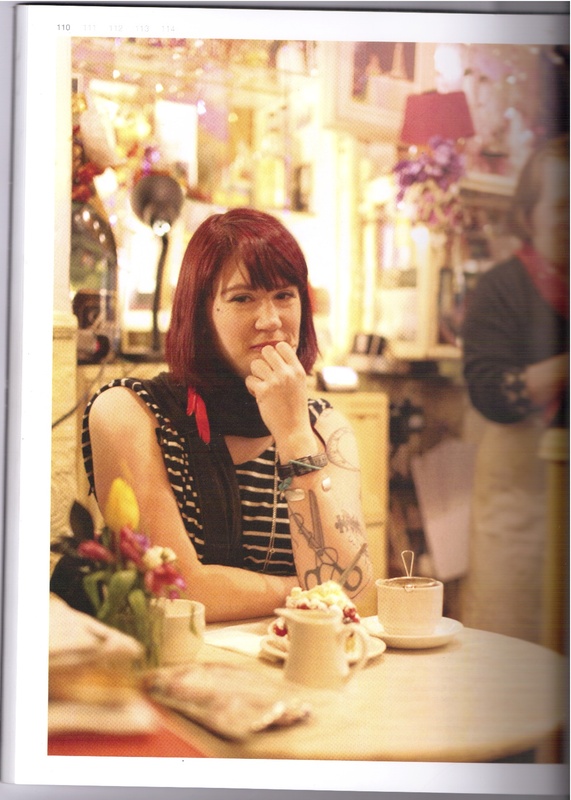 Not only did they do a big interview with me (you can only read it if you buy the magazine sorry) but they also asked me for 3 small craftivism projects that their readers could deliver regardless of craft skill or activism background. 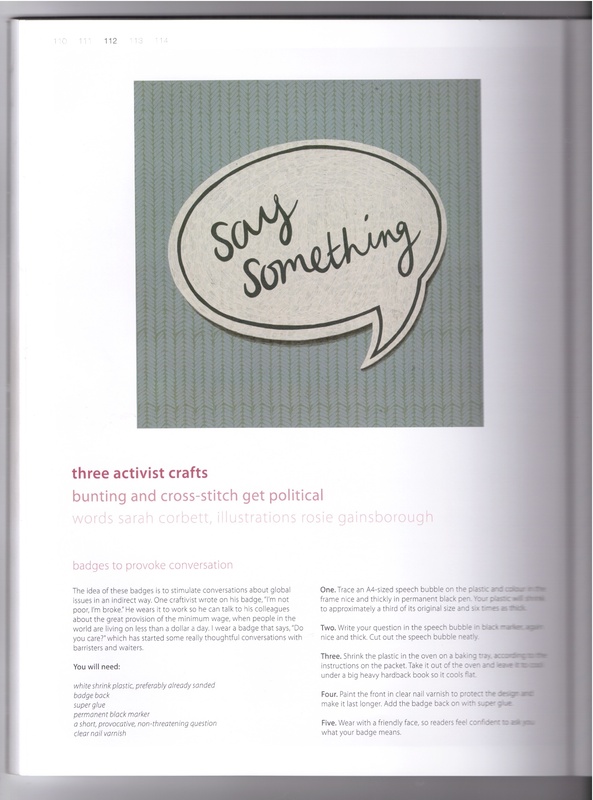 I wrote out: Cross Stitch Graffiti, Speech Bubble Badges and Inspiration Bunting projects for them and they got a talented illustrator to provide images to go with the instructions. 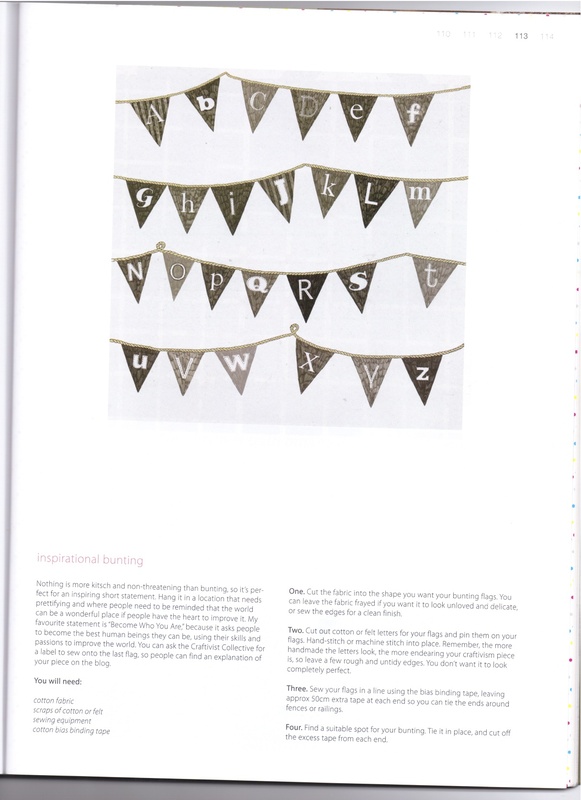 We are so thankful for Oh Comely for covering craftivism, The Craftivist Collective and encouraging their readers to become craftivists. 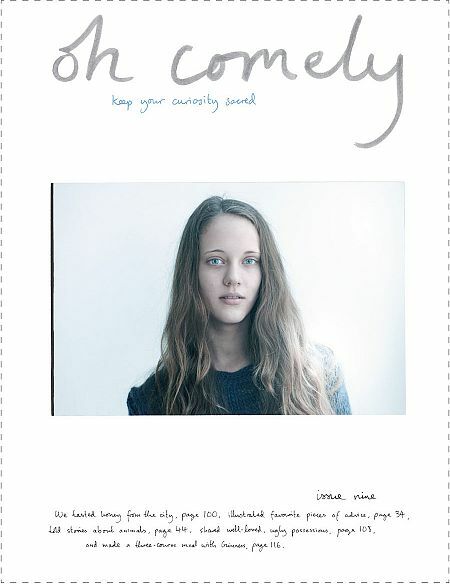 Please support magazines like Oh Comely that are so thoughtful, beautiful, inspiring and made by love from all of their lovely staff. You can even find their magazine in WHSmiths now! well done you! this is great.